A CUSTOM TAILORED SUIT by MOHAN CUSTOM TAILORS: You have to agree that any man looks great in a well fitting suit. Now a custom tailored is not a luxury item only for the riches. With Mohan’s Custom Tailors, you can get a custom tailored suit starting at just few hundred dollars. And they have some amazing holiday special deals as well. This will be a gift to last for years! 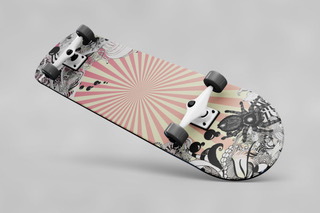 SKATEBOARDS by BEASTIE BOARDS: You may not be feeling the urge to spend a few hundred dollars and may not need a suit. 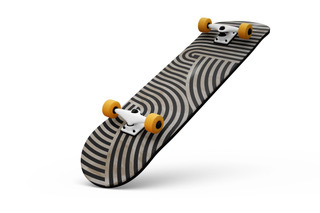 How about a skateboard? 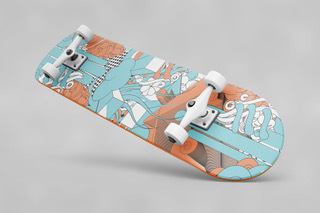 Even if you are not a skateboarding enthusiasts, these beautiful skateboards adored by beautiful art, will make a great and unique decoration piece for any wall. A unique gift for that unique person in your life! Designer Glasses and Mugs by ROOT7: We all need and use mugs and glasses, but why not get something really unique and special? They have many cool things but her are 2 specific suggestions that I loved. Shots of Himalayan salt. Yes, you can do your shots in shot glasses made of Himalayan salt. Root 7 Geo Glasses are unique geometrical shapes and great quality. Forget about boring round glasses, try something geometric and unique! Your morning cup of coffee will feel even better with a colorful Ombre Mug. It also feels really good to hold, seriously! While we are talking about mugs, this cute color changing UNICORN mug is just adorable. For kids or for yourself! Theater tickets for kids and family: If you’re in NYC, why not take your kids and family to a kid-friendly theater show, in Manhattan. The NEW VICTORY THEATER is a perfect place for that. 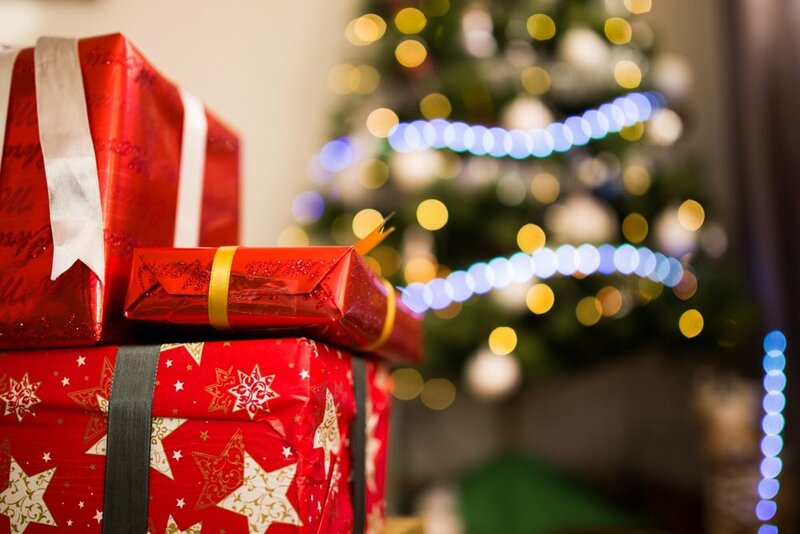 Keep an eye here for more gift suggestions to be coming in upcoming days/weeks. (NEW YORK) – November 2, 2018 – Last night, the NAACP Legal Defense and Educational Fund, Inc (LDF) hosted their 32ndNational Equal Justice Awards Dinner (NEJAD) at the Ziegfeld Ballroom where they celebrated the achievements of several distinguished civil and human rights leaders and raised over $2 million to help further the mission of the LDF. In front of an audience of 650, Marian Wright Edelman (Founder/President of the Children’s Defense Fund) and Judge U.W. Clemon (Alabama’s first African-American federal judge) received the Thurgood Marshall Lifetime Achievement Award, while theNational Equal Justice Award went to Bryan Stevenson (Founder and Executive Director of the Equal Justice Initiative) and philanthropist couple Dr. P. Roy Vagelos (Chairman of the Board, Regeneron Pharmaceuticals, Inc.) and Diana Vagelos (Vice Chairman of Barnard Board of Trustees and Vice President/Treasurer of the Marianthi Foundation, Inc.). Honoree Bryan Stevenson, LDF president Sherrilyn Ifill and Kendrick Sampson attend the NAACP LDF 32nd National Equal Justice Awards Dinner at The Ziegfeld Ballroom on November 1, 2018 in New York City. Additional attendees included author Ta-Nehisi Coates, “Insecure” actor Kendrick Sampson, Women’s March co-chair Linda Sarsour, Miss Haiti 2014 Christie Desir, and writer Jamilah Lemieux. TV and radio personality Jacque Reid served as emcee. In keeping with that theme, Tony and Grammy Award-winning artist Renee Elise Goldsberry performed the inspirational song “People Get Ready,” once sung by Aretha Franklin whose music was highlighted throughout the dinner. Special thanks to National Equal Justice Awards Dinner honorary chairs Kenneth and Andrea Frazier, co-chairs Angela Vallotand Kim Koopersmith and the entire LDF staff. For video highlights from #NEJAD18, visit naacpldf.org. About the NAACP Legal Defense and Educational Fund, Inc.
On the occasion of 72nd Independence Day of India, Consul General, Sandeep Chakravorty hoisted the National Flag at the Consulate premises in the morning of 15 August. It was followed by the playing of the National Anthem. Consul General read out President’s Address to the Nation delivered on the eve of the Independence Day. 2. More than 200 people including prominent members of the Indian community and local dignitaries including Congresswoman Grace Meng, Assemblyman David Weprin, Assemblyman Raj Mukherjee, Senator Vin Gopal and also Bollywood actor Anupam Kher attended the ceremony. 3. A short cultural program was held by Bhartiya Vidya Bhavan, which included singing of patriotic songs and poetry recitation. 4. At the initiative of local Indian community organizations, iconic monuments in New York and surrounding areas were lit up on the occasion with the colors of the Indian flag. These included the Empire State Building, Niagara Falls among others. 5. This year, on the occasion of India's Independence Day, Indian Council for Cultural Relations (ICCR) sponsored a seven member group consisting of acclaimed Kathak dancers - Sandip Mallick & group with Anuj Mishra and group to present Kathak! A short glimpse of their performances were shown during the morning ceremony. 6. The team in collaboration with this Consulate & Battery Dance Company will be performing at Robert F. Wagner Park this evening; Saraswathi Hall, The Hindu Temple Society of North America on August 16 and finally at Navatman's Drive East Festival on August 17 before heading to Dallas for other scheduled performances. Here's the information and terms/ conditions on "Dhai Akhar”, a Letter Writing Campaign for Indian Diaspora on the topic “Letter to My Motherland ” inspired by Rabindranath Tagore’s “Amar Desher Mati". 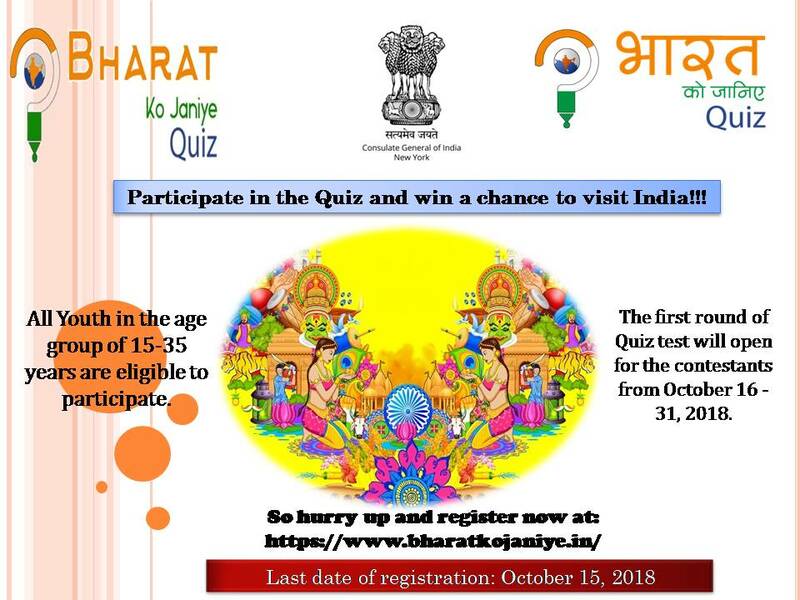 This competition is open for all age groups. (i) Up to 18 years (ii) Above 18 years. III. The campaign will start from 01-07-2018 till 30-09-2018. The letter can be written on plain A-4 size paper with a word limit of not more than 1000 words and is to be sent to Assistant Director General (Philately), Department of Posts, Room No. 108, Dak Bhawan, Sansad Marg, New Delhi - 110001. Only handwritten letters posted by 30-09-2018 will be accepted. A scanned copy of the letter can be submitted on the MyGov portal by 30-09- 2018 (23:59 IST); however, it is compulsory that a hard copy of the letter bearing dispatch postmark of not later than 30-09-2018 be sent by post. Letters uploaded on the MyGov portal on 30-09-2018 but bearing a postmark after 30-09-2018 will not be entertained. will be evaluated by constituting Committees at the Postal Directorate level. Custom tailored suit from Mohan's Custom Tailors: A suit can completely change how a man looks, in a good way. 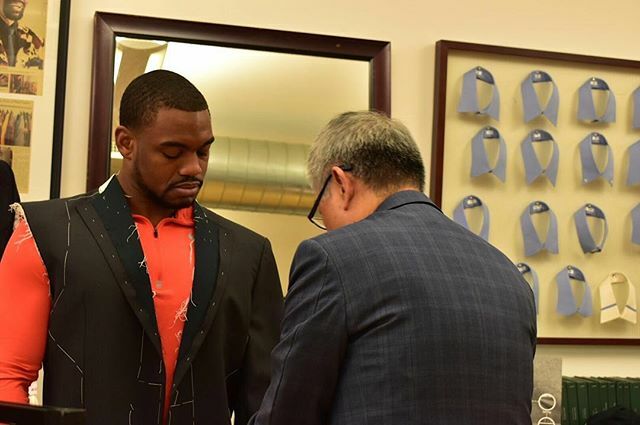 And a custom tailored, perfect fitting suit, is what can take it to the next level. Designer suits are not just luxury of the rich elites. At Mohan's custom suits, starting at just $699, you can get an amazing custom tailored suit, designed and made just for you, with a monogram and several amazing options. It's money well spent, for something very precious that will last for years. Designer sunglasses from PRIVE REVAUX: If $699 seems too much, how about amazing designer sunglasses, backed by Jamie Foxx, for just $29.95. Yes, you can get high quality designer brand polarized sunglasses for under $30 from Prove Revaux. Checkout the collection and you can pick one for the dad and one (or more) for the son/daughter too. TIMEX watch: How about something classic? Like the new MK1 Stainless Steel Chronograph carries a tough look and feel. The MK1 Steel Chronograph delivers a strong profile to attain distinction and quality, with an acrylic domed crystal it is complimented by a premium Italian oxford weave cotton strap and brushed steel finished eyelets to ensure a durable fit. Or the Timex SupernovaTM is a new way to experience our INDIGLO® Night – Light technology. A thin layer of metal is placed on top of the dial and using precision laser cutting techniques, the top layer is perforated to allow for the light to pass through, creating a new and unique way to illuminate the dial. Both priced at only $119, available at timex.com. A Cosmetics gift-set from RITUALS: All men can use some shower gel, shampoo, soap, shaving cream etc. 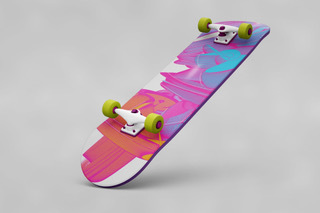 But why not get them something special, something cool. You cannot go wrong with for only RITUALS The Ritual of Samurai - Refreshing Ritual Gift Set $45, or RITUALS The Ritual of Dao - Calming Collection for only $65. A Broadway Show: TONYs just finished and if you are in New York City, there's noting better than checking out a TONY winner, TONY nominated or just any damn broadway show. From classics like LION KING, THE PHANTOM OF THE OPERA, WICKED, to spectacular hits like HAMILTON, BOOK OF MORMON, ALADDIN to newcomers like HARRY POTTER, FROZEN and many many others. Check them out! Today in Barcelona, Samsung announced the new Galaxy S9 and S9+at Unpacked. Designed for the ways we communicate and express ourselves with images, videos and emojis, the Galaxy S9 and Galaxy S9+ feature Samsung’s most advanced camera ever. Redesigned with a new dual aperture lens that powers an innovative low light camera, Super Slow-mo video capabilities and personalized AR Emoji, the Galaxy S9 and Galaxy S9+ ensure you never miss a moment and make your everyday epic. · Samsung’s most advanced camera ever has a new Super Speed Dual Pixel sensor and dual aperture lens for even better low-light shots, Super Slow-mo video capabilities. · With AR Emoji users can create an emoji that looks, sounds and acts just like them for true personalization. AR Emoji uses a standard AGIF file format, so users can share their emojis across most third-party messaging platforms. · Bixby, Samsung’s intelligence platform, is integrated into the Galaxy S9 and Galaxy S9+ camera and uses augmented reality to provide helpful information. New Bixby features include Live Translation for real time foreign language translation, Food calorie counter and Makeup with Sephora and CoverGirl. New shopping partners, include Walmart and Sam’s Club. The Galaxy S9 and S9+ will be available in the U.S. starting March 16, 2018. Pre-orders begin March 2, 2018. Staring March 2, consumers who pre-order a Samsung Galaxy S9 or Galaxy S9+ can save up to $350 with qualifying trade-in. Samsung Electronics Co., Ltd. introduces the Samsung Galaxy S9 and Galaxy S9+, the smartphones that reimagine the way we communicate, share and experience the world. Made for the ways we increasingly communicate and express ourselves with images, videos and emojis, the Galaxy S9 and Galaxy S9+ drive innovation with Samsung’s most advanced camera ever. Redesigned with a new dual aperture lens that powers an innovative low light camera, Super Slow-mo video capabilities and personalized AR Emoji, the Galaxy S9 and Galaxy S9+ ensure you never miss a moment and make your everyday epic. The Galaxy S9 and Galaxy S9+ deliver an enhanced entertainment experience with powerful stereo speakers tuned by AKG, surround sound supported by Dolby Atmos and a refined edge-to-edge Infinity Display – a key staple in Samsung’s design heritage. In addition, the Galaxy S9 and Galaxy S9+ will come with the new SmartThings app, which unites Samsung’s existing IoT services into one single, smart experience. Super Slow-mo: Make every day moments epic with dynamic, slow-motion video that captures 960 frames per second. The Galaxy S9 and Galaxy S9+ also offers automatic Motion Detection, an intelligent feature that detects movement in the frame and automatically begins to record – all users have to do is set up the shot. After capturing the Super Slow-mo video, users can select background music from 35 different options. AR Emoji: Samsung lets users create an emoji that looks, sounds and acts just like them. AR Emoji uses a data-based machine learning algorithm, which analyzes a 2D image of the user and maps out more than 100 facial features to create a 3D model that reflects and imitates expressions, like winks and nods, for true personalization. AR Emoji uses a standard AGIF file format, so users can share their emojis across most third-party messaging platforms. Bixby: Samsung’s intelligence platform, integrated into the camera, uses augmented reality and deep learning technologies to provide helpful information about a user’s surroundings. With real-time object detection and recognition, Bixby instantly generates information directly on top of the image that the camera is pointing at. Users can translate foreign languages and currency in real time with Live Translation, learn about their surroundings, purchase products seen in the real world from retailers such as Walmart and Sam’s Club, or track calories throughout the day. Smartphones are often our go-to choice for entertainment, which is why Samsung created a device that offers premium sound experiences with stereo speakers tuned by AKG. Whether users are watching their favorite movie or streaming their favorite artist’s latest album, sounds are clear, crisp and rich in quality. The Galaxy S9 and Galaxy S9+ also support Dolby Atmos enabled surround sound, giving the effect of 360-degree sound. The Galaxy S9 and Galaxy S9+ audio experience is complemented by Samsung’s revolutionary Infinity Display. First introduced on the Galaxy S8, the bold, bright Super AMOLED Infinity Display blends right into the phone with virtually no distracting bezels. With an adaptive contrast enhancement, users can use their device even in direct sunlight. As the first smartphone to support the new SmartThings app, the Galaxy S9 and Galaxy S9+ are the central hub to manage every facet of the connected lifestyle at home, at the office or on the go. The SmartThings App will be introduced with S9 and Galaxy S9+ and will connect to other Samsung and non-Samsung devices. For those constantly on the move, the next-generation Samsung DeX empowers a mobile lifestyle by bringing a large, full-screen experience to the mobile handset. With DeX Pad, a new docking system, users can easily connect the Galaxy S9 and Galaxy S9+ to a larger monitor, keyboard and mouse to expand the mobile experience with enhanced document editing or even full-screen gaming. Users can transform the Galaxy S9 and Galaxy S9+ into a Touch Keyboard and Touch Pad with the DeX Pad. Samsung sets the gold standard for smartphones including IP68 water and dust resistance, and fast wireless charging. The Galaxy S9 and Galaxy S9+ go a step beyond. The devices now support expandable memory of up to 400GB and are equipped with the latest premium application processors offering powerful performance, fast network speeds and sophisticated image processing. In addition, the Galaxy S9 and Galaxy S9+ give users the peace of mind knowing that their phone is protected by Knox 3.1, Samsung’s latest defense-grade security platform. The Galaxy S9 and S9+ support three different biometric authentication options – iris, fingerprint, and facial recognition – so users can choose the best way to protect their device and applications. The devices support Intelligent Scan, a new verification mode that intelligently fuses the collective strength of iris scanning and facial recognition technology to quickly and conveniently unlock a user’s phone in any environment. The Galaxy S9 and S9+ introduce Dedicated Fingerprint, giving users the option to use a different fingerprint to access Secure Folder than the one used to unlock the phone. Starting March 2, 2018, consumers who pre-order a Samsung Galaxy S9 or Galaxy S9+ can save up to $350 with qualifying trade-in. The promotion will last for a limited time and is available at Samsung.com, the Shop Samsung app and select retailers. Visit samsung.com/us/trade-in for more information. With Samsung Premium Care, you get more than just protection for your device, you get a team of Samsung pros ready to come to you. Just pick the time and place, and they’ll provide one-on-one technical support and assistance for everything from the setup of your device, to troubleshooting, to hand delivery of a replacement should anything happen to your phone. Premium Care is part of Samsung’s commitment to ensure that your location is our location, anywhere in the U.S. Enroll your new Galaxy S9 or Galaxy S9+ and get one month of protection free. For more information, please visit:http://www.samsung.com/us/support/premium-care/. For more information about the Galaxy S9, visit http://www.samsungmobilepress.com/, news.samsung.com/us/galaxy-s9/ or www.samsung.com/galaxy. Bixby service ability may vary by country or carrier. Samsung Account log-in and data network (wifi or internet connection) required to fully operate Bixby features. Voice Command recognizes English (U.S.), Mandarin Chinese and Korean. Not all accents, dialects and expressions are recognized. Voice Command works with a select, growing list of Samsung and third-party apps. See “Apps with Voice” in Bixby for a list of compatible apps. Touch Keyboard function to be included in the upcoming software update. Subject to credit approval from Samsung Financing Program Account issued by TD Bank, N.A. Terms and conditions apply and vary by retailer. User memory is less than the total memory due to storage of the operating system and software used to operate the device features. Actual user memory will vary depending on the operator and may change after software upgrades are performed. Bonobos has been offered a lucrative $310,000,000 deal from Walmart. Dollar Shave Club was acquired for $1,000,000,000by Unilever. Albertsons purchased Plated for $200,000,000. What one single similarity do all three corporations share? Each one had a branding video that was designed and distributed by a New York corporate video production company, Top Notch Cinema. A short time after these videos were publicly shown, these start up organizations received their profitable solicitations. In an ever-changing environment saturated with an abundance of information, it is essential to stand out in the crowd. Video production and distribution creates a unique niche for brands looking to capture the attention of all audiences, both small and substantial in size. A quality promotional and/or event video creates necessary brand awareness. It also helps the consumer feel personally connected to the brand, which creates brand loyalty and increases referral rates. A quick Google search reveals that the top video production firms focus mostly on news and entertainment. It is evident that virtually everyone ignores videos for business. According to the owners of Top Notch Cinema, James Orfanos and Greg Parker, videos allow a brand to “personally connect with their audience, leading to a higher level of lead generation and higher conversions rates”. By adopting this focus, Top Notch Cinema has been able to secure top clients, including the famed luxury stay brand The Four Seasons, the digital wallet Venmo, andonline news source Elite Daily, among others. The work of Top Notch Cinema essentially guarantees a significant return of investment, which their clients have confirmed. Top Notch Cinema focuses on enhancing the essence of every brand by creating a series of short and succinct videos. The content is both comprehensive and compelling, designed to engage all ages. Once completed, a strategic and schematic distribution is done through particular platforms and creative channels. All done within one day. Take a second to schedule an in-depth consultation with Top Notch Cinema. For further information, visit their website at www.topnotchcinema.com. "Necessity is the mother of invention" is an old English- language proverb which means, roughly, that the primary driving force for the new invention is a need. That’s the energizing thought that drove Carline Smothers, the mother of three young Haitian American children ( a nine- year-old son and two daughters, ages seven and three) to create and self-publish her two books: “Fanmi Mwen (My Family)” written in Haitian Creole and English, and “Mmmmm! Soup Joumou,” a children’s book series that highlights their Haitian heritage. Q: What are African-Americans missing about the Haitian culture? were getting their information from, or if that is what was being taught in their homes. world would be a better place! America recognizes May as Haitian Heritage Month. We are proud of who we are and our African roots. I have noticed others embracing Haitian culture through the language, food, and displaying the flag. For an example, the Haitian flag is seen waving in the opening of DJ Khaled and Rihanna’s video. We have come a long way from how Haitians were viewed when I was growing up. Why did you feel the need to start www.zoebeautee.com and self-publish two children books that focus on the Haitian culture? them to lose the culture. When we watch television shows, movies, and read books for children, we are open to learning other languages and cultures. However, I couldn't help but noticed the lack of Haitians and my children need to be able to relate to the characters. This is why I am passionate about what I have created. Every child deserves to be represented and see a reflection of themselves. I saw a need and have been working tirelessly to bring my vision to life. To learn more go to: "Expressing Beauty Through Language"
Do you love the young people in your life? If you do, would you make effort to share information that could positively impact their future? Suspecting that the answers to both of the questions are a resounding—yes—then please make note that until October October 8, teens can go to MadewithCode.com to code a geofilter and submit a 100-word statement about the future they envision. This is a contest. Do not panic. They don’t need any prior coding experience to give it a try. What they do need is a sense of adventure and a thirst for knowledge. Google's Made With Code program has joined with Snap Inc to host a contest for teens to code a geofilter (ie, a creative overlay that shows where you and what you're doing) that will go live nationally in the Snapchat app. The contest, called #MyFutureMe, launched yesterday and five finalists will be sent to the TEDWomen conference in New Orleans in November to work with Google and Snap engineers to create lenses for the Snapchat app. They’ll also receive a trip to Los Angeles, CA, for a private, VIP tour of the Snapchat and Google offices. The great news is that for the five finalists they will receive mentoring sessions from Google engineers and work with Snap engineers to create a lens (for the non-teens: this is augmented reality technology that adds animations to your selfies, general photos, and the world around us). This is a very big deal and the panel of amazing people who will judge the lenses from the five finalists includes Ruth Porat (SVP and CFO of Google and Alphabet), Evan Spiegel (CEO of Snap), Malala Yousafzai (student, activist and Malala Fund Co-Founder), Joanna Coles (Chief Content Officer at Hearst), Laurie Hernandez (Olympic gymnast), Victoria Justice (actress and singer), Lilly Singh (YouTube personality, entertainer, and founder of Girl Love) and Dr. Yvonne Cagle (NASA astronaut). How we share the things we see around us is part of what motivated the creation of this contest. With this contest, Made with Code and Snap will help teens nationwide see that the things they love, like Snapchat, are made with code. Teens are already Snapping. Let’s get them coding, too. You love Michelangelo's work? You've heard of all his beautiful and amazing art work on chapel's ceiling at Sistine Chapel in Vatican City, Rome? You have been wanting to go see it, but haven't had time, or money, or both. Well, you can see that artwork, right here in New York City, that to, up & close, from now until July 23. The exhibition will move to various places all over country. Checkout the dates and details below.